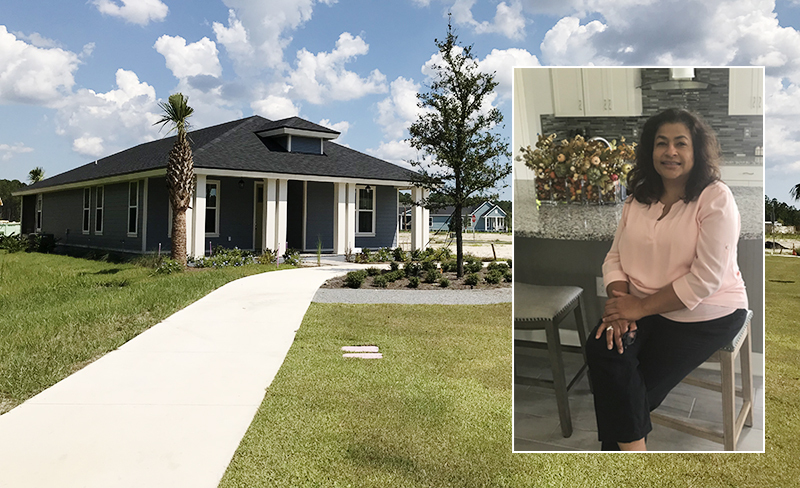 A resident of urban Brunswick, Georgia by way of Southern California, Felicia Adams had one key requirement for her next move: a sense of community. After learning about Wildlight through her realtor, Felicia quickly fell in love with the FLOCO lifestyle. “I appreciated that everything was being consciously built,” Felicia said. She pictured herself exploring the walking trails, meeting neighbors at the shops and restaurants and enjoying sunny days and special events to be held throughout the community. In addition to all the opportunities for play, Felicia saw Wildlight as the perfect setting for her work life, as well. She selected a floor plan with space for the home office she’s always wanted and was thrilled to be so close to the airport for her frequent business travel. Since moving in, Felicia has enjoyed her role as Wildlight’s pioneer. She has welcomed a few families to the neighborhood and is excitedly watching new homes being built around her.